Magneto is a mutant who defies a lot of labels, constantly being recast in a different light. This latest re-imagining of the popular character by writer Cullen Bunn is proving both popular and enduring. In the fast-paced world of comic series, which are themselves quickly becoming flash-pan entertainment, this is something of a novelty. Let's face it: we live in an on-demand modern society, and comics as a form of entertainment, especially from Marvel, are moving more and more toward this dynamic state of being. If an aspiring series takes too long to bring in the numbers, the corporate giant re-balances its position or pulls it from circulation altogether. I don't have problem with this business model for the most part; as a business they have turn a profit. But we also face the problem of fans who are stuck in the past and expect a series to endure through thick or thin, which isn't always the case. As far as Magneto is concerned, at the moment we need not worry. 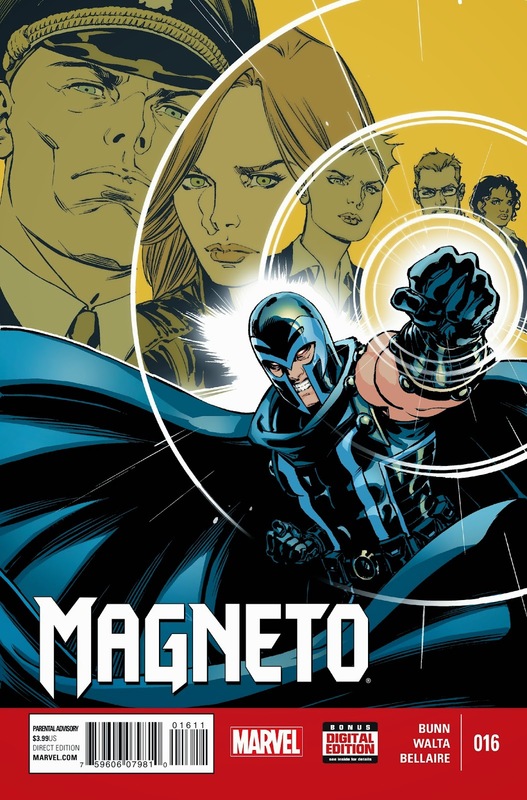 If you haven't yet read this issue of Magneto or aren't currently following the series, it is a must-read for any fan of the X-Men franchises. 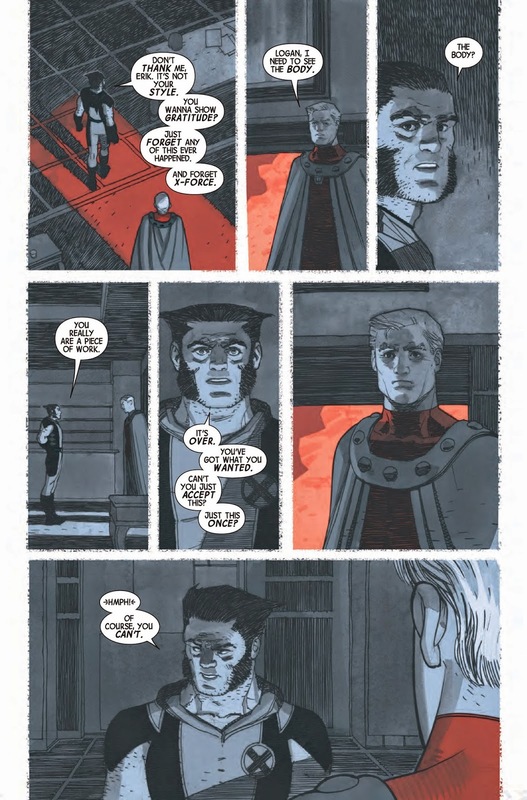 In terms of consistency of writers, this thematically driven drama is so emotionally charged and satisfying that even if you don't read X-Men books, this is a worthwhile reading experience. 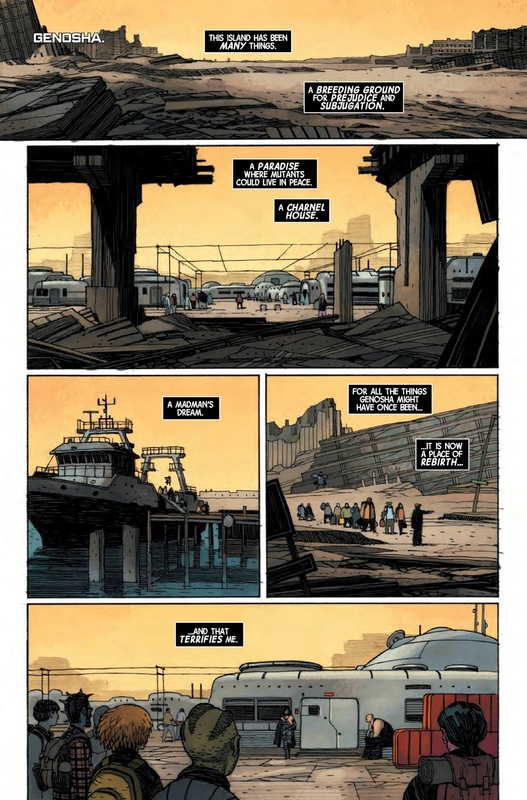 Couple this with the fantastic art, which is so unique and spearheaded by some of the comics industry's heaviest hitters, such as Jordie Bellaire, and it is no surprise why this series continues to impress. 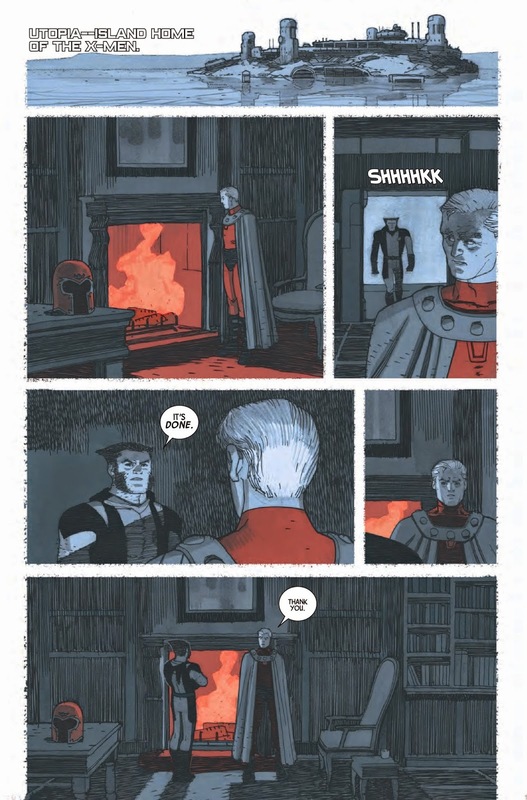 Magneto has taken some real twists and turns under the guiding hands of Bunn and editor Daniel Ketchum. It seems to be doing all right for the publisher also, as it is set to continue under the "Last Days" banner into opening phase of "Secret Wars." An aspect of the series that is paramount in issue #16 is the adaptability of the writer and the character to the dynamics constantly churning in the wider Marvel universe. We see Magneto constantly responding to influences of greater magnitude that are impressed by the wider publishing writ at Marvel. However, when he is able to do so, Bunn is masterful at exploring the unique characteristics of Magneto in isolation. This issue of Magneto is exemplary of this. David Yardin has been producing some stellar work on the covers for some time now. The cover to issue #16 is forceful and powerful and representative of some of the inside content, unlike those of some other Marvel series. The interior art has a beauty all to its own. It isn't pretty in the same manner that All-New X-Men may be, but Magneto's art is full of grit, mood, and tone that suit the story being told. Dirt is easier to clean off than blood. What is more noticeable in this issue is how the colors swing with rhythm of the story, from a positive setting, through a down beat, back up to a more positive switch by the end. The colors from Bellaire tend to follow this pattern and switch with the flashbacks, which are used to maximum effect in the issue. Gabriel Hernandez Walta's art takes on a cleaner line style this time around. Walta is emphatically bringing a design to Magneto's world that is clearly delivered, thoughtful, and well designed. The combination of these artists talent is a real treat to see. It is difficult to review a comic such as this and not want to reveal so much more about it. I anticipated giving more of a blow-by-blow account, but this is such a good comic, to do so would spoil the experience. Despite this, I hope I've made it clear just what a consistently good read this series provides. Despite other lackluster solo X-Men series, some of which are also reviewed on this site, Magneto delivers just what is promised with ample style. So, comic fans, what did you think about this issue? How did you like Bunn's twists and turns? Tell us below or head over to the Fanboys Anonymous Facebook or Twitter and leave a comment. Make sure you come back for the continuation of Magneto in the "Last Days" as we head into "Secret Wars."